Earn up to 416 reward points. A Santana favorite with full, clear tone! 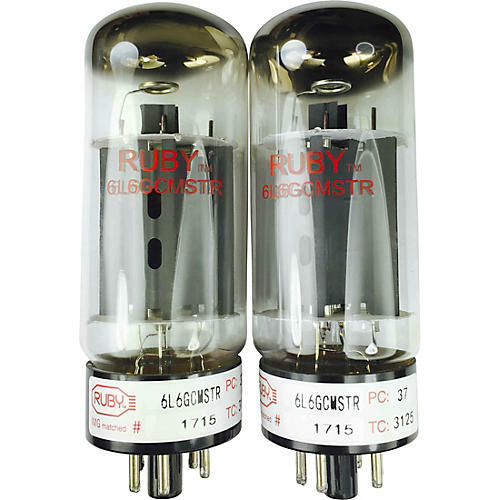 All Ruby output tubes are labeled on the base with the exact matching measurements for plate current and transconductance. By matching these parameters, optimal performance and long life are ensured for your amplifier. Ruby Tubes come with a 6-month replacement warranty.